Method’s Outlook Email Gadget is Now Available!! We know how important Outlook is to running your business. Whether you’re following up with leads, tracking shipments from vendors, sending estimates to opportunities or receiving payments from your customers, you live in your Outlook inbox. You do some of your most important work from Outlook, but since all that work is in your inbox, it means double data entry in your CRM so the rest of your team can see everything that’s going on. Enter Method’s Outlook Email Gadget. 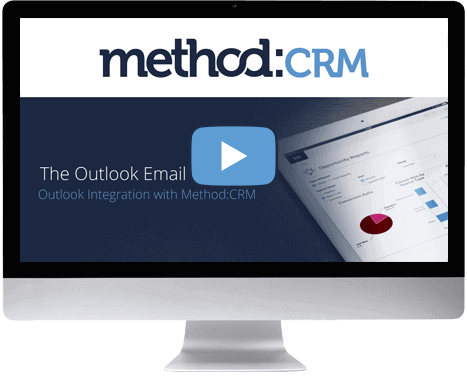 Similar to our Gmail Gadget, Method’s Outlook Email Gadget is a FREE integration that brings your CRM right into your Outlook inbox, so you can see your whole relationship with your customers, leads and vendors at a glance! For starters, you can stop flipping between your inbox and Method! The Outlook Email Gadget gives you all the customer information you need right within your inbox. When you open an email, the Outlook Email Gadget displays the contact’s phone number, address, balance, QuickBooks transactions, CRM activities, opportunities, and more! PLUS, it gives you the ability to add new contacts and activities without ever leaving your inbox. That means no more copy and pasting email conversations into your CRM! With the Outlook Email Gadget, your entire team will become more efficient. Since all interactions are tracked through the Outlook Email Gadget, tracking down old emails and relying on team members to forward on important information becomes a thing of the past. Everything is centralized in Method:CRM, so everyone works more efficiently, and your customers get an excellent experience. Method’s Outlook Email Gadget is customizable! I can hear you asking, “But Kaitlin, why would I want to customize my Outlook Email Gadget?”. Great question! With Method’s Outlook Email Gadget, you can view activities, QuickBooks transactions, and contact information. But, what if you’ve customized Method to also track something unique, like dietary restrictions? By customizing the Outlook Email Gadget, you will also be able to view your custom information. Another reason for customization is to streamline your workflows. 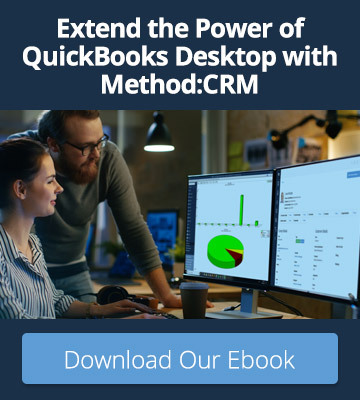 For instance, you could customize the Outlook Email Gadget so you can view and select all of your customer’s outstanding QuickBooks invoices, and with the click of a button, send them to your customer with a reminder to pay. The possibilities are endless, and we offer a Free Hour of Customization Services when you sign up for Method, so we can walk you through how you can get the most out of your Outlook Email Gadget. How do I get the Outlook Email Gadget? 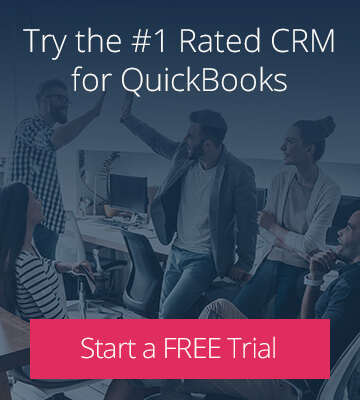 First, you need to have a Method:CRM account. If you don’t have one, sign up for a Free 30-Day Trial Here! Once you have your Method:CRM account, all you have to do is go to the Microsoft App Store. For step-by-step instructions on getting the Outlook Email Gadget, check out our help article. Once you have it installed, head to our Help Center for FAQs, customization help and a general overview of how to get started…and of course…enjoy! !